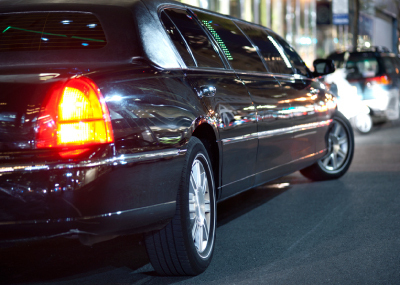 Riding around in a limousine can make you feel sophisticated and stylish not to mention the added benefit of having a professional chauffeur do all of the driving, while you have an exciting night out on the town. Before you take to the web to book just any limousine, Buffalo locals should keep in mind several important things that you should know before securing your online booking. Limousines come in a vast number of sizes, colors, shapes and styles and as a result, it is possible for consumers to secure limos that are perfectly-suited to their parties and intentions. If you are attending a high-energy event and plan on celebrating all night long, you will probably want a larger option that has plenty of leg room, colorful lights and an amazing music system. There are also people who book these services in order to secure transportation to events that are very somber in nature. Thus, the party-bus atmosphere is not necessarily something that consumers have to contend with when traveling to or from a funeral. They can always look for cars with sedate designs, ample seating room for all passengers with additional features and amenities that people might require. It is generally a good idea to shop around for a company that is capable of accommodating the needs of your party the fullest without making compromises. These businesses provide far more than just driving services. They can also supply in-car entertainment and may have the ability to help you get priority service at some of the hottest local venues. For teens, it is best to work with a company that is used to catering to this demographic. They will have the best drivers and cars for even the rowdiest of parties thus when sending your child to prom, graduation or any other affair in a limo, use a provider that can handle these types of events. Given that these trips will essentially be unchaperoned, you want to know that your youngsters will be safe and well-managed. Consumers should always take some time to learn more about the different feature that are available to them. Some companies have neon and flashing lights inside of their cars for high-energy groups. They can additionally provide a full bar and snacks for these groups, so that people do not have to make special trips to eat or enjoy beverages. These cars can include music and some of the largest automobiles may even include hot tubs and other high-end amenities. When price is not a concern, there are so many incredible features that you can have added to these services. If you are planning to upgrade, it's always a good idea to learn more about what your group wants and how much everyone is willing to pay. Prices for these services will usually fluctuate based upon demand and due to this fact, its advised to ensure that you book your reservation early. Early reservations allow consumers to lock into the lowest possible prices should rates undergo a dramatic change due to a seasonal or unexpected increase in demand therefore you will have a certain amount of price protection therefore not needing to pay these substantial marked up rates. Fortunately, doing the necessary research on these companies is very easy for anyone to do by simply visiting their web site and book online when you find the right service that meets your needs.